We don’t doubt for a second that Nintendo has a fully-fledged Animal Crossing game in development for the Switch, hoping that Pocket Camp will spark new interest in the franchise. Sadly, this venture into the free-to-play market doesn’t make the wait for a brand-new entry any more bearable. 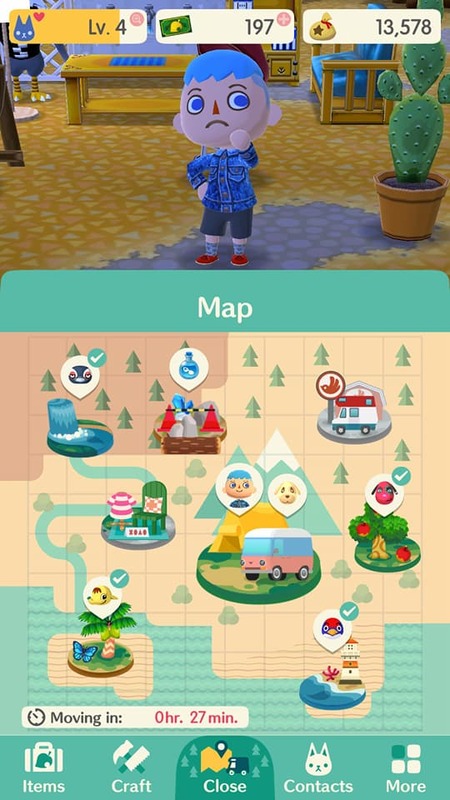 As expected, Pocket Camp isn’t Animal Crossing with all the trimmings. This is Animal Crossing abridged to suit the requirements of mobile play, focusing solely on key elements. Cast into the role of a campsite manager, it’s your job to make it a success by changing the décor to suit the demands of the nearby animals. Only after you’ve won their friendship by running a few errands, and gathered resources to construct new pieces of trendy furniture, will they happily come and visit. While gaining their loyalty your heart meter fills up, gradually unlocking new furniture pieces and thus the chance to entice even more elusive anthropomorphic chums to your camp. The time soon comes when a new bookcase isn’t thrilling enough, as they quickly begin to acquire an expensive taste, demanding such costly pieces as sportscar shaped beds. The pretentious birdbrains. Outside of mingling with the animal inhabitants it’s possible to interact with fellow humans. To Nintendo’s credit, finding real-life friends is as easy as linking a Facebook or Twitter account, and friend codes can also be exchanged. In a typical Nintendo family-friendly fashion, however, online interactions are limited. It’s possible to visit friend’s camps and leave them gifts, purchase small items from their impromptu marketplace, and that’s about it. In lieu of offering full online play – something which New Leaf featured – you may come across another villager while on your travels, usually found stood in the same location. While simplified, fishing and bug catching is still a pleasant way to waste time, and the new methods of doing so – either via a net or a honey trap – are welcome additions. With no museum to fill or even an encyclopaedia with a checklist, this AC staple does feel more mundane here though. There are no fossils to find, either. And no pattern creation tools, because Lord forbids if somebody easily impressionable accidentally saw a lewd custom-made T-shirt. The daily shop rotation has made the jump (mostly) intact, thankfully, with new clothing and a smattering of new furniture on sale every day. This alone will be enough for some to visit daily. There’s also a new garage, run by a trio of Italianesque blackbirds. Here you can paint and customise your VW-style camper, with new patterns on sale daily. The camper can also be decorated internally and later expanded (for a price). The default size doesn’t hold much potential for creating a home from home, but the campsite is large enough to facilitate a comfortable homestead. It isn’t long until a variety of musical instruments unlock, turning the camp into a mini-musical festival. The areas around the campsite are split into five small locations. Presumably, Nintendo intended each one to provide a bite-sized chunk of play; a location to visit whilst on a five-minute break. Most have a beach or river and bugs to catch, and you’ll always come across an animal to befriend. They change locations every hour, remaining outside the camp perimeter like stubborn fools until you’ve met their demands. And if you really enjoy mingling with virtual friends, you can pony up approx. 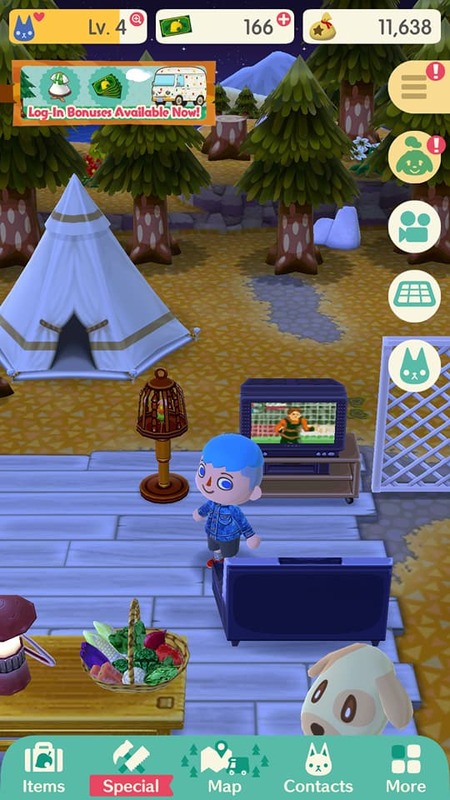 £20 of Leaf Tickets to have either Tom Nook or K.K Slider visit your camp. Leaf Tickets start to become scarcer as time passes, as do Bells and valuable crafting resources such as essences. As a free-to-play mobile game, there was always going ways for Nintendo to make money from players. It’s easy to forget this initially. Pocket Camp invites you in with its saccharine sweet exterior, but it isn’t long until the notifications start to grate, and the daily grind starts to become precisely that. 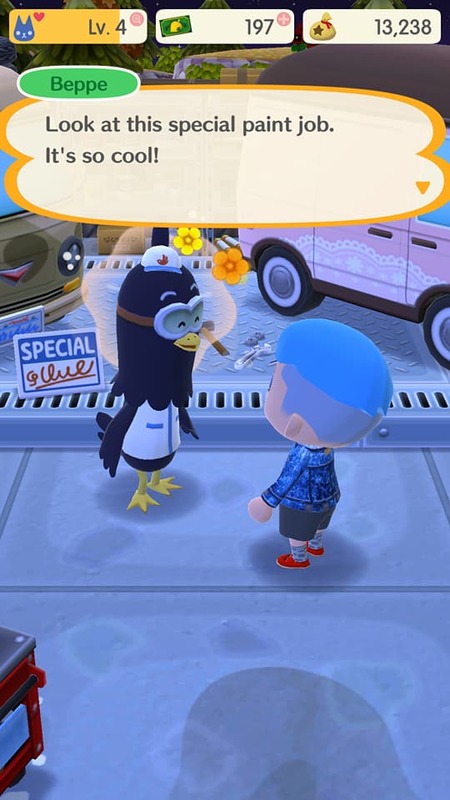 Pocket Camp doesn’t do anything outrageous to damage the brand, but those who have never experienced a proper Animal Crossing game before may be left wondering why it’s one of Nintendo’s most cherished franchises.